Gladys and her husband went on to find an apartment a month later without further incident. But she found the question about her national origin insulting and upsetting. This is Massachusetts, and you know what came next. 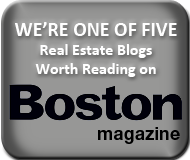 Stokel filed a complaint with the Boston Fair Housing Commission, claiming that rental agent’s question was discriminatory and caused her to suffer fear, anxiety and sleeplessness over a three-year period. Although this was the agent’s first discrimination complaint and there was no discriminatory impact on the tenants at all, the Commission found that the question itself was unlawful and issued one of the largest penalties I have seen in recent years — $10,000 in emotional distress damages, plus $44,000 in attorney’s fees and costs and a $7,500 civil penalty against the broker — a whopping $61,500 in total liability for this single question, not to mention the tens of thousands the agent had to pay for defense legal fees. The ruling can be found here: Linder v. Boston Fair Housing Commission, Mass. Appeals Court (Dec. 17, 2013). The case went up on appeal, and fortunately the Massachusetts Appeals Court exercised some common sense and slashed the award, likely by more than half pending further proceedings. But the court let stand the commission’s ruling that the one innocuous question did indeed violate the discrimination laws. So the broker will remain on the hook for a sizable liability. Honestly, I’m having a lot of trouble with this ruling. It appears that the broker was simply engaging in some harmless small talk by asking the applicant where she was from. There was no evidence that the broker refused to rent to her or took any other discriminatory action against them. What if the applicant had a Southern accent and said she was from Alabama? That’s not illegal discrimination, but since she is from another county, it makes the question unlawful discrimination? Unbelievable! This is one of those cases where the anti-discrimination laws result in a totally absurd result. Richard D. Vetstein, Esq. is an experienced Massachusetts real estate attorney who often consults with Realtors and rental agents on their legal and ethical duties. He can be reached at info@vetsteinlawgroup.com.